Ten-time champion trainer Paul Nicholls has expressed his fury at the handicapper’s treatment of today’s Unibet Lanzarote Handicap Hurdle contender Darling Maltaix, who was raised 12lb after winning at Ascot before Christmas. Darling Maltaix, a headstrong and quirky six-year-old who has been aimed at the race since his last run, is a best-priced 15-2 for the Listed contest at Kempton, a contest Nicholls has won three times courtesy of Nycteos (2008), Saphir Du Rheu (2014) and Modus (2017). Writing in his Betfair blog, he said: “I can’t be at all confident after the handicapper overreacted by raising him 12lb to a mark of 134. That is a joke and incredibly harsh on a horse winning for the first time. Darling Maltaix runs in the familiar colours of Johnny de la Hey, who is one of the major shareholders in Alizeti, the company which currently holds a 25 per cent stake in the Tote. 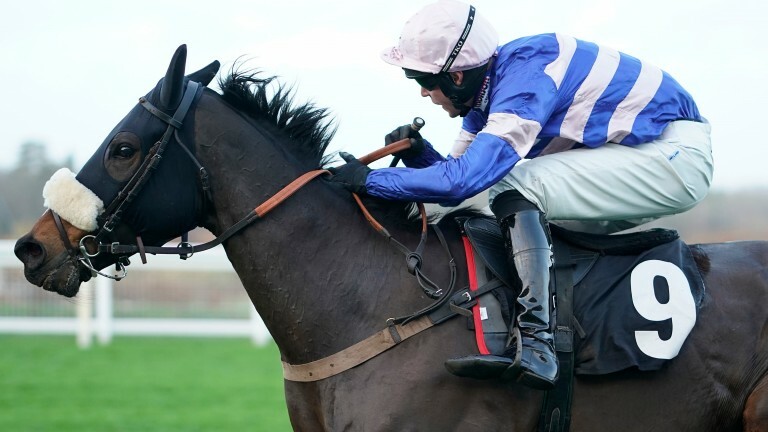 Nicholls, who enjoyed a fruitful festive period, also runs Amour De Nuit (1.30) and Black Corton (2.05) at Kempton, while Secret Investor (1.50) and Classic Chase contender Ibis Du Rheu (3.00) represent him at Warwick. Who won the 2.40 at Kempton live on ITV today?